UNO and Kabul University, partner institutions since the Center's founding in 1972, launched a new collaborate project in 2010 to upgrade the teaching of journalism at Kabul University. Starting with a needs assessment, faculty at KU and UNO's School of Communication have been conducting faculty exchanges, holding regular online meetings, and creating new curriculum in the areas of online journalism and public relations. The journalism program at Kabul University is well established, and many prominent professionals in the country's rapidly expanding media industry are alumni. But as technology changes and Afghanistan's media industry matures, students will need new skills. The journalism partnership is working on a modular workbook to address topics of importance to the future of Afghan media. 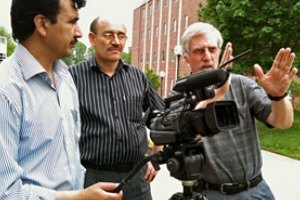 To support these collaborative efforts between site visits, faculty from UNO's School of Communication and Kabul University communicate frequently via e-mail, Skype, and a Facebook group. UNO also shares promising practices with similar partnerships between other U.S. universities and institutions throughout Afghanistan. All of these journalism partnerships are supported in part by funding from the U.S. Department of State and the U.S. Embassy Kabul. Kabul University journalism faculty members came to UNO's campus in April 2011. For eight weeks, the five professors attended intensive English classes in the mornings and worked alongside UNO School of Communication faculty in the afternoons. 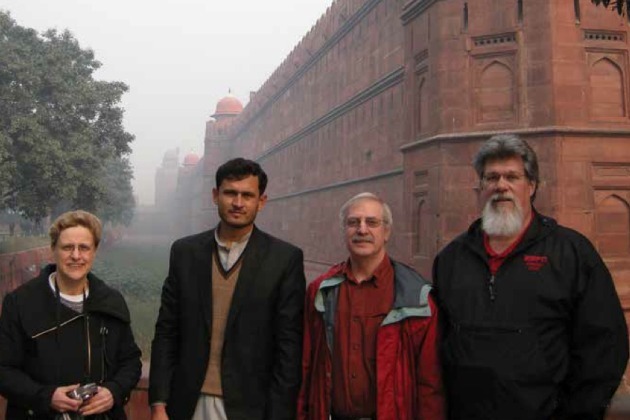 More faculty members visited in the fall of 2012.